Do you know the status of your building’s plumbing pipes? As the temperatures start to dip below freezing, you could be more susceptible to freezing and bursting pipes, especially if your pipes are already damaged or cracked. Lining your pipes with an epoxy liner can restore the structural integrity of your plumbing pipes and provide you with valuable peace of mind this winter. When the temperatures outside dip below freezing, the pipes running along your exterior walls and in areas that are not heated are more prone to freezing. As the ice forms inside your pipes, it seals the pipe, preventing water from flowing. Pressure then builds up inside the pipe from the ice blockage to the nearest fixture. This increased pressure can cause your pipe to burst, creating leaks and expensive water damage. If the plumbing pipe that freezes is cracked or the walls of the pipe have been compromised due to excessive corrosion, it will burst with less pressure, putting your building at risk for mold and mildew damage. Your residents will also be without water for the duration of the repair. In order to prevent weakened pipes from freezing and bursting, you may want to consider in place pipe restoration. This involves cleaning your plumbing pipes and inserting an epoxy saturated liner or coating into your pipes, which helps seal small leaks and cracks. The process does not involve removing large sections of finishes, like flooring and drywall. Instead, the process can be performed using a pipe access point or a small hole can be cut in order to access the damaged pipe. This is far less costly than having a plumber come out and completely remove and replace the offending plumbing pipe. It’s also faster than a traditional pipe replacement, which means water service can be restored quickly once the plumbing pipes have been lined and the liners have cured. Once your plumbing pipes have been restored, make sure to winterize them. Plumbing pipes that are accessible and located in unheated areas of your building should be winterized to help prevent a frozen plumbing pipe. Make sure all your at-risk pipes are insulated and consider adding heat tape to help keep your pipes and the water within above freezing. When the day or overnight temperatures dip below freezing, make sure to keep your faucets dripping. While dripping your faucets doesn’t prevent a frozen pipe, it does help prevent bursting by alleviating the pressure between the ice blockage and the fixture. In place pipe restoration can prevent plumbing headaches now, during the winter and holidays and in the future. 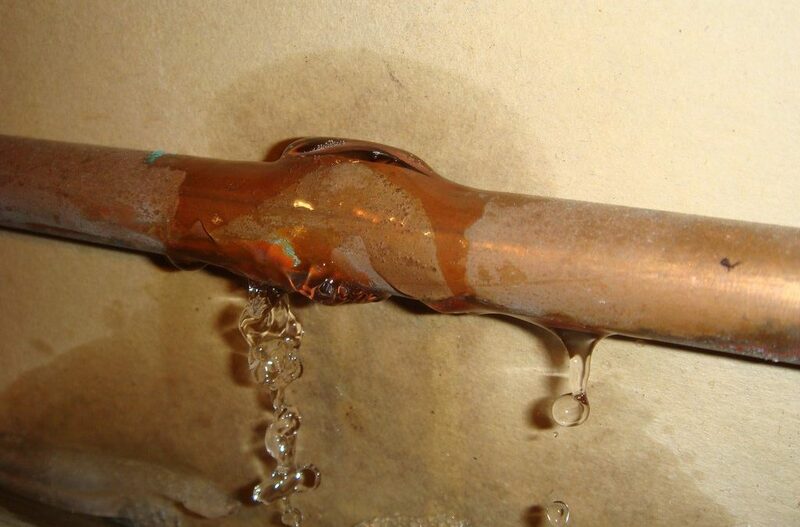 Old pipes and severely corroded pipes are more prone to cracking and leaking both in the winter and during the warmer months, which can cause your water bills to skyrocket and force you to utilize the services of a water damage restoration company. Lining your pipes with the help of our pipe lining experts can restore the function and structural integrity of your plumbing pipes, and the expected lifespan of pipe lining is very similar to replacing your plumbing pipes. In fact, we offer a 10-year installation guarantee on out pipe lining services. 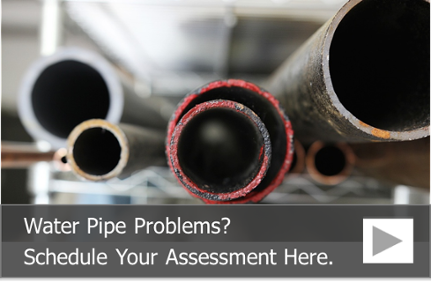 To learn more about pipe lining or to schedule a building pipe assessment, call us at 815-790-9000.